Direct Marketing for Small Business? 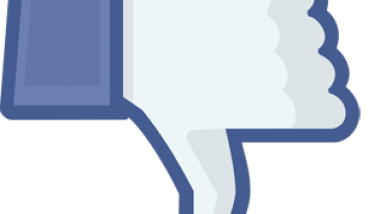 Why You Should Use Direct Marketing Instead of Using Facebook – In a small suburb lived two mechanics by the names of James (Jimmy) and Connor. Both men were in the process of starting up their own auto repair shops. Jimmy setup a Facebook Fan (Business) Page because…well because it was free, easy and almost everyone he knew had one. He planned on spreading the word about his business using just his FB page. Connor, he setup a Facebook page, too. But he also had a customized company blog built for his business and also setup a form so he could build an email list. After both men had opened their doors and the first rush of customers has died down some …both mechanics set out to drive more customers to their businesses. Do You Promote Your Business on Facebook Like This? Over the next couple of years while Jimmy has worked harder and harder and struggled to get more Fans for Facebook’s email list, Connor had worked hard to add more interested people onto his own in-house email list. On the other hand, Connor kept publishing 1 – 3 posts every week to his company blog (usually on his slow days.) Then he would promote his blog posts using his Facebook account. In each of his Facebook posts, Connor would insert a link back to the appropriate blog article or video on his website. Now he had all the work he could handle through the offers he makes to his email list. He is seriously considering hiring another mechanic to help with the steady stream of new and repeat business. Unlike Jimmy, Connor understood that the sole purpose of placing posts on Facebook was to pull people away from the FB site and redirect them to his own site. He wants to get people to visit his site and read as many of his blog posts as he could get them to to. So when he has any visitors on his site, at least a few of them will naturally want to read more of his useful car tips and will join his list to receive more information via email. When cared for properly, this little list-community can easily become a group of loyal and repeat customers. This is why Connor works so hard to grow, nurture and care for his in-house list of email subscribers. But poor Jimmy is still slaving to build the email list for the Z-MAN (Facebook’s billionaire owner Mark Zuckerberg). 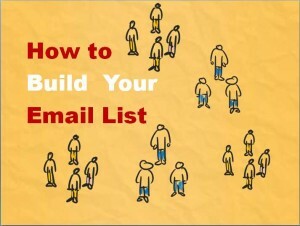 Small business folks often avoid building an email list because too many gurus have made such a big deal out of it. But a classic 2-step direct marketing process is simple. If they are interested, they will click on that link and get off Facebook (this is key) and visit your website. Once they are on your site they will read or watch what you have to share and with a little nudging help from a call-to-action, they might sign up for your email list. • Send an email newsletter. Send out a single monthly newsletter, jammed full of tips, news and helpful information. • Send out bi-weekly messages. One a complete monthly “tip” newsletter PLUS a shorter “news & announcement” email blast a couple of weeks later. • Create a email blast from an RSS feed – an easy-peasy way to do 2 things at once. • Use an auto responder series. Instead of using newsletters, just sit down and bang out a “series” of related messages (mini-blog posts) that offer helpful ideas and tips. You can then schedule them to go out in an automatic sequence as long as you want. I have seen auto responder sequences that are as short as 3 days and as long as once a week for a year! Just because someone signs up for your email list, is no excuse to abuse the privilege to contact them. Sure you can send out email messages until they “Buy, cry or die” like some “internet “offer harlots” do but as a local business person, this kind of hardball, in-your-face marketing will kill off your list very, very quickly. Spam is about sending out email offers to make you money. Email marketing is about sending out emails to offer your customers something of value, to build trust and long term relationships (repeat business). It doesn’t matter if they are just paying with their time and attention or with cold-hard cash; if you not trying to help people with your content then you’re probably just spamming them – pestering them for profits.